Animate businesses with short videos that promote and expose them to the world. 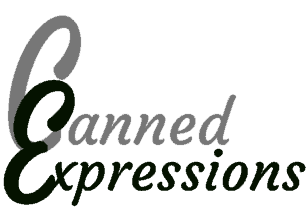 Canned Expressions was created to help local, small businesses gain more internet exposure. Working alongside an internet marketing plan, video is one aspect that can no longer be ignored. It used to be that creating a video cost thousands of dollars and took months to put together. Today, we can put together videos that tell a story, for hundreds rather than thousands of dollars and complete this in under 2 months. Most small business owners don’t have the time or expertise to put together a video, that is where we enter the picture. Also, many are of the belief that a video is only for the big companies. This just isn’t the case. We work with our clients to help them gain a better understanding of who their target audience is for the video. This is about the client and their final product. Why should only the larger companies receive the benefit of video exposure. It is now available for all businesses, and at affordable prices.